The OIC (previously called the Organization of the Islamic Conference) has pushed for a universal blasphemy law for more than a decade. Since the November 2004 murder of filmmaker Theo Van Gogh in the Netherlands and the 2006 riots protesting cartoon depictions of the prophet Mohammad, the group has pressured Western European nations to implement speech codes punishing criticism of Islam. In March, the Obama administration thwarted the OIC's attempt to win United Nations Human Rights Council passage of a resolution calling for criminal penalties for the "defamation of religions." The following month, Washington engineered Council passage of Resolution 16/18, a nonbinding measure which did not censor speech. The victory didn't last long. In July, Secretary of State Clinton revived the issue when she co-chaired an OIC session in Istanbul dealing with "religious intolerance." Clinton called on countries to "counter offensive expression through education, interfaith dialogue and public debate," while emphasizing that speech restrictions were unacceptable. She invited conference attendees to a follow-up meeting to continue the dialogue. OIC officials seized on Clinton's offer by stepping up their campaign for blasphemy laws and speech codes. 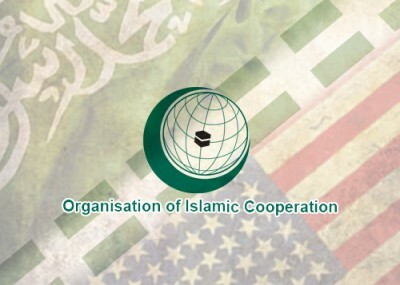 Based on conversations with U.S. officials, Shea believes that many of them fail to grasp what the OIC represents. They lack essential information about apostasy and blasphemy laws and have "very little knowledge of the illiberal nature of the OIC," she said. "There's a sense of political correctness that prohibits probing of that organization and what it stands for." Although the United States is unlikely to emulate Western European countries in enacting speech codes, "what we see is self-censorship" by agencies like the State and Homeland Security departments which are barred from discussing issues such as Salafism and jihad. Moreover, "in the media, academia and the entertainment world, we see self-censorship on behalf of Islam. Certain issues are off the table." Shea believes that this "politically correct" approach to Islamism has disturbing implications for U.S. national security. In the case of Maj. Nidal Malik Hasan, who massacred 13 of his fellow servicemen at Fort Hood in 2009, co-workers emphasized that they were deeply troubled by his jihadist ravings regarded him as a radical Muslim "but didn't report it for fear of being labeled "Islamophobes,'" she noted. Similarly, a Senate committee issued a report documenting a culture of timidity at the Pentagon on the subject of Islam. Shea said the Fort Hood massacre is a "perfect example" of the danger posed by the U.S. government's failure to address the danger Islamism poses to our liberties. From my own travels and from friends who are Christians in predominately Islamic nations there is no equality or tolerance. Iran says it will destroy Israel and all Jews. Where is the equality and tolerance? The leaders of the Palestinians in Gaza basically say the same thing and they want to have their own state and destroy the state of Israel. If the OIC or anyone else wants an equal and free level of tolerance and speech; then let them mirror that of the US; not the other way around. I am to the point of declaring if you (Islamic nations) don't treat your people of different faith with respect for their life and freedom of religion and freedom from harm by Sharia laws; then we (the United States) will not support you. We have no obligation to let these nations dictate to us how we should treat others in this nation which is founded upon Judeo-Christian values; which are the basis for more freedom and tolerance than any other in the history of the world. I think the critical difference between Islam and the West is in the concept of tolerance and the mindset attaced to it. Islamists, obviously, think tolerance has something to do with non-Muslims not saying or doing things about Islam that Muslims don't like. This goes as far as non-Muslims not defiling Muslim lands by setting foot in them. They see the onus to exercise tolerance as being on the Other, and the Other only. The supremacist mindset of Islamist prevents them from understanding that tolerance, to Westerners, requires reciprocity. It means that, sometimes, you have to put up with hearing others say things you don't like. This is something that Secretary Clinton and other Westerners involved in these discussions should recognize and understand. That they don't seem to recognize or understand this critical difference is criminal. Your article is truly a classic because it focuses on the problem we have with the Obama administration's succuming to Islamic propoganda.